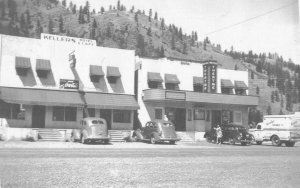 We can now imagine the Kettle Falls Theater, built in 1940 by Henry Wood, will continue into the future as a dynamic venue for the performing arts. Wide-spread community support and diligent stewardship have kept the theatre humming since the original members of the current Woodland Productions made it their performance base in 1978. Beginning in 2015 the Grants/Funding Committee of Woodland Board of Directors has brought to completion two major projects and added a desirable technology for those with hearing loss. Assistive Hearing Devices by Williams Sound are now available thanks to a grant from Empire Health Foundation. A rebuilt smooth stage surface is in place for dance and set movements, thanks to funding from the Colville Vinson Fund and the extensive efforts of Sean Taboloff. A three-part heating and ventilation system with air conditioning and improvements in weatherization is working thanks in part to a Community Strategies Grant from theInland NW Community Foundation and the efforts of Andrew Urbaniak. 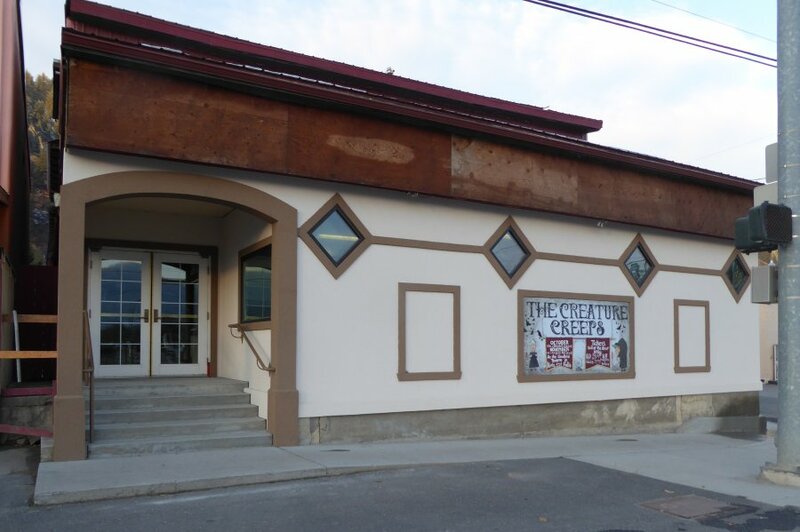 A 2017 facade facelift, returning the theatre to its more iconic look, started with replacing the 1970's-era barn boards with a new stucco exterior below the roof line and adding new double-pane windows, all done with Woodland Capital Campaign funds. Two permanent poster display cases and a large letter marquee have been installed on the rebuilt façade thanks to a grant from the Colville Vinson Fund. Safety improvements to the handicap exit, including handrails and a roof to shed snow and rain are close to completion, funded in part by a 2017 – 2018 Empire Health Grant. Having received 2018 grant funding from Inland NW Community Foundation, phase two of the facelift will proceed. 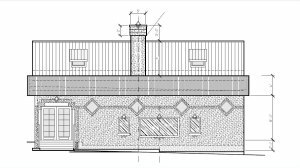 In late summer the front roof will return to being flat above a curved parapet, ready for a neon-lit tower to be installed. The new look will be reminiscent of the 1940's original marquee. Perhaps last in this series will be a project to replace the deteriorating stucco on the back portion of the theatre and enclose the porch, soffits and gable ends. WA state Heritage Capital funds, committed just this spring, will cover much of this work from late fall through May of 2019. 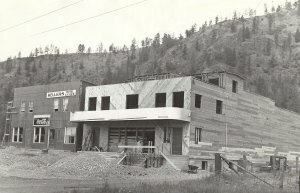 A new interpretive sign will be installed by the theatre’s lobby entrance as part of this project. Thanks to the new cooling system, Woodland Productions will have another summer production, Alice In Wonderland JR, under the direction of Linette Richie. All the Capital improvements have been done with a combination of grant funding, Friends of Woodland Theatre, Major Donors, Sustaining Member and the amazing Woodland members who volunteer their valuable time provide matching funds for every grant application. Thank you to all who have contributed !!!! and 2017 Permanent signs and marquee for the front façade. 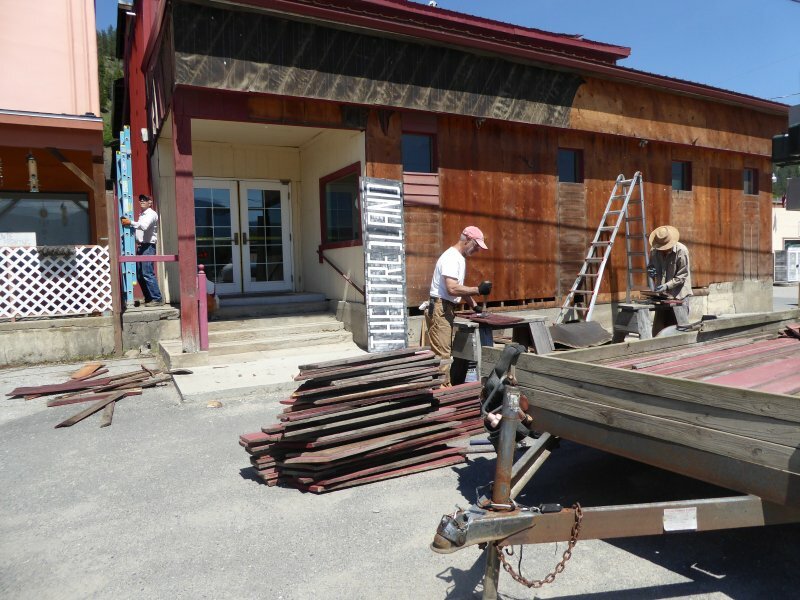 WA State Heritage Capital Fund – 2018-2019 grant for building preservation. Most notable for 2016 are Andrew Urbaniak, Sean Taboloff and the late Gordie King. PO Box 524, Colville WA 99114.